Need a podcast microphone? We run through the best 10 available on the market. If you stumbled upon this blog post, you probably have a podcast. 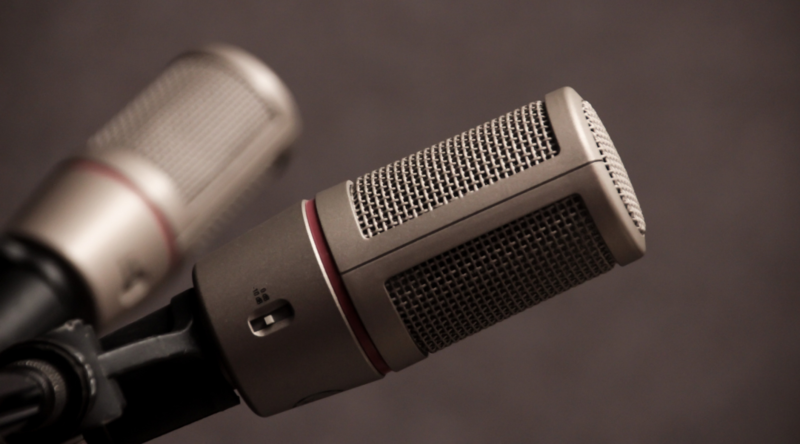 If not, here are 10 reasons why your business should use podcasts. In the UK, 4.7 million adults have listened to a podcast at least once in their life. The podcast is a globally growing trend, so having the right set-up is vital. Everything from your recording environment to your editing software and, of course, your microphone must suit your needs. You want your podcast to be crystal clear. So, how do you pick the perfect microphone for your podcast? How much cash can you part with? What is your budget? How would you use your microphone? Where will you be using your microphone? How many microphones do you need? Will the microphone you buy work with your existing set-up? How many people will be on your show at one time? Do you need the microphone to be portable? 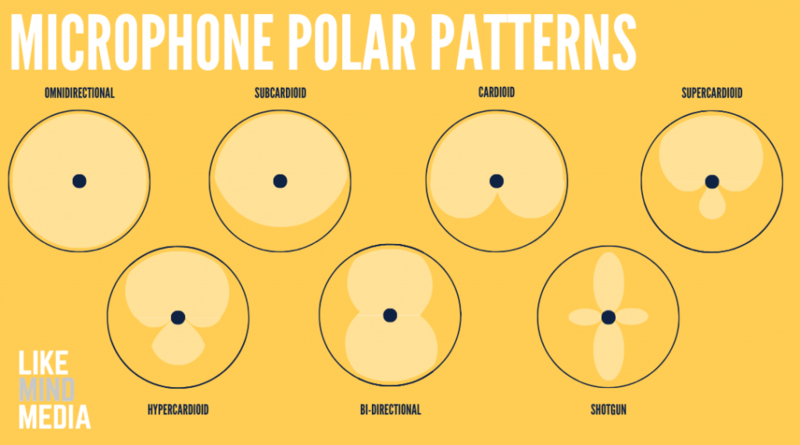 Which microphone polar pattern will suit your needs? Are more expensive microphones always better? Do you want an XLR or USB mic? All these factors will be affected by the choice of your microphone. The starting point of this blog is to help you understand what the different polar patterns are in microphones, helping you to understand which you will need and why you will need it. Microphone polar patterns or pick–up patterns are settings that determine where your microphone detects sound when you are recording. There are seven different types of polar patterns and each serves a different function. This may sound very complicated and the chart may look like a psychiatrist’s ink blot test, but this section will help make sense of that. Without digging up issues in your past you didn’t know you had. The first microphone polar pattern is omnidirectional. This means sound is picked up equally from all around the microphone. This is mostly found as the default setting of lavalier microphones (Lapel mic). This pattern is perfect for recording a few people around one table with the microphone in the middle, or that special edition of your podcast with multiple guests. This polar pattern also works well for recording environments or ambience for documentary or audio drama-style shows. Secondly, we have a cardioid microphone. This polar pattern picks up sound from the front of the microphone, while minimising noise from behind. This style of polar pattern is known as directional because the microphone is pointed at the sound source (in this case, your mouth). This polar pattern is perfect for the solo presenter, plus it reduces reverb in an untreated/undampened room. However, lower sounds are increased when you move the sound source closer to the microphone. This is known as the “proximity effect”. The subcardioid polar pattern is a variation of the cardioid pattern. It is a cross between cardioid and omnidirectional. This pattern is suited to picking up a sound source that might be moving around, while still at the front of the mic. Hypercardioid microphone polar patterns have an area of greater sensitivity to sound behind the mic. Switching from subcardioid to hypercardioid will further narrow the area of sensitivity at the front, but also further increase the area of sensitivity to the rear. The bi-directional microphone, also known as the “figure 8” pattern, records sound equally from both sides of the microphone, while rejecting sound from either side. This polar pattern is perfect for face-to-face interviews. As you have more than likely figured out for yourself, much of this knowledge about polar patterns is for musical use of a microphone. Ultimately, you are likely to only need three of the seven types we have considered today. 1. Cardioid – Use this microphone if you are the only person talking into the mic. You could be recording a monologue episode, maybe you are conducting an interview with your guest remotely or recording with a co-host who has their own microphone. 2. Omnidirectional – You would use this microphone if you are recording multiple voices at once. If you have several guests on an episode of your podcast sat around a table, this polar pattern is perfect. 3. Bi-directional – You are best to use this type of microphone if you are recording an on-location co-host episode or interviewing, using only one mic. Quick tip to remember: Different microphones have different polar patterns, so make sure you thoroughly research the mic you are buying. Some microphones have one polar pattern, some have many, so be sure to understand what you are working with or need to work with. Before we get into the thick of it, a quick word on the differences between USB and XLR microphones and which you will need. There is a common misconception that all USB mics have inferior sound quality to XLR mics which is not true in all cases, however it is true in some, so you have to do your research (or let me do it for you). Another misconception is that USB mics are prone to create latency problems. Although this can be sometimes true it’s not a rule that can be generally applied. If you’re interested, check out the best USB microphone of 2019 in the UK! XLR Mics are a lot more complicated than USB microphones and often taken a lot more equipment such as preamps, recorders and mixers. Now if none of those words ring a bell probably stick to the USB. 1, because it’s a lot to learn about, 2, if you haven’t heard it you probably won’t have it lying around and it’s expensive. If you’d like to know more, check out the best XLR microphones. 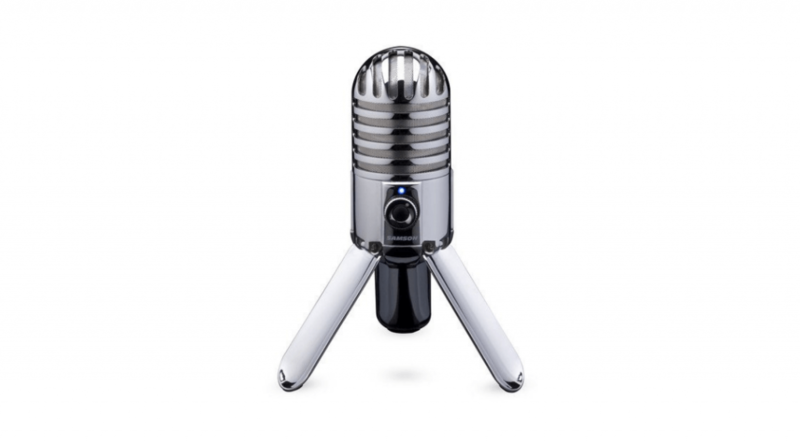 The Samson Q2U is a very flexible microphone, whether you are a podcaster or a lead singer. The Samson Q2U is durable, affordable and a handy microphone all round. This dynamic microphone is ideally suited to picking up vocals, while rejecting much of the sound around and behind it. The Q2U suits any environment and, if recorded with a clear speaking voice, the mic will pick you up perfectly. It has a USB and XLR cable, so it is a great microphone for a beginner because it can be used through a mixer or recorded straight into the computer or laptop. Using a mixer will dramatically improve the sound quality, but if your budget won’t allow that, recording into the computer will give you satisfactory sound quality. Alternatively, you can record through both a mixer and straight to the computer, giving you a safety net in case anything breaks or goes technically wrong. The Q2U can be held in your hand, mounted on a boom or placed in a stand, for whichever suits your podcast best. Plus, you can plug in your headphones to hear how you sound. The Samson Q2U is an amazingly versatile microphone with a lot of accessories and a multitude of capabilities, making it ideal for podcasting. The Rode Procaster is a broadcast–quality, dynamic microphone. The Procaster was designed to record professional standard vocals, making it perfect for podcasting. 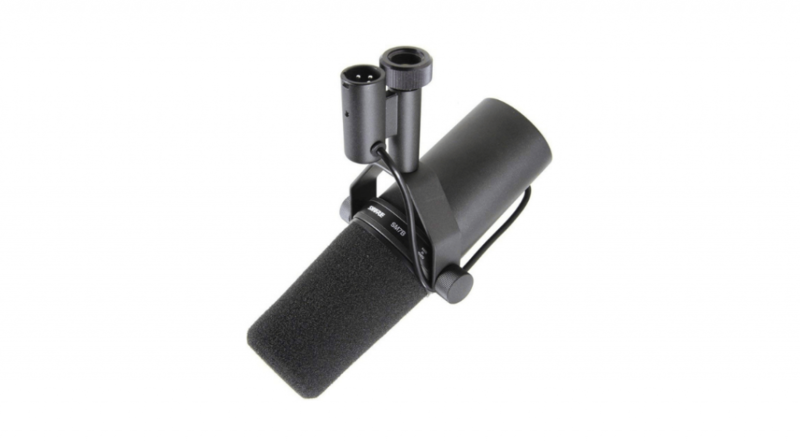 The Procaster is a dynamic microphone as opposed to a condenser microphone. Condenser mics are more sensitive and will pick up more detail when recording. However, this can be both a pro and a con, depending on the environment you are recording in. Despite being a dynamic microphone, the Procaster picks up the intricacies of any vocal performance, aided in its work through unwanted sound rejection. The Procaster has a cardioid polar pattern. It is purely an XLR microphone which means you will need additional equipment to use it, such as a mixer or digital recorder unit. The microphone comes with a built-in pop filter, but it can never hurt to use an external one too. After setting up, you can be forgiven for thinking you should speak into the side of the microphone, but for maximum results it’s best to speak into the top. Alternatively, you can buy the microphone on its own for £131 on Amazon UK. I would not advise this though. You might as well go all out if you are going to choose the procaster. Why? You will need a boom arm, or a mic stand to use the Procaster, as it is not a hand-held microphone. The Procaster comes with a 12-month warranty, but you can upgrade to a ten-year warranty just by registering your purchase details with Rode. 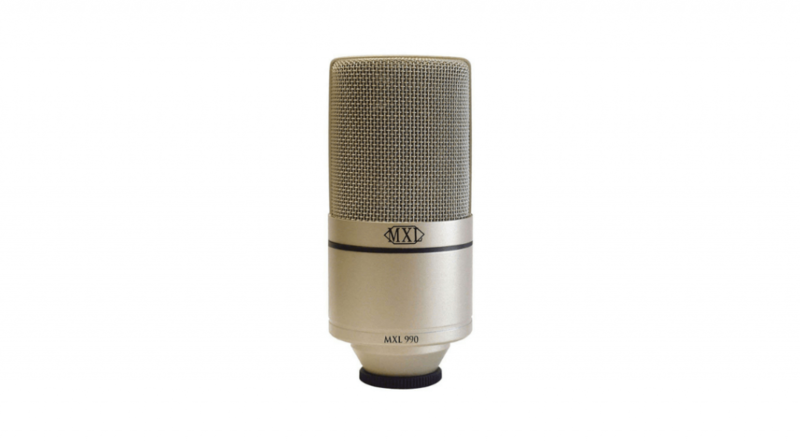 The MXL 990 is a condenser microphone with a cardioid polar pattern. The FET preamp and large diaphragm make for a truly professional, balanced sound quality when recording your podcast. The larger the diaphragm means the greater surface area the sound waves have to be caught. The 990 comes in a variety of set–ups, XLR and USB, meaning quality sound for both digital and analogue recordings. The XLR connector is especially good for low noise and a secure fit. The MXL 990 is one of the most used microphones, worldwide, with names as big as Elton John using it. The clean and bright sound suits almost any voice, making it a top contender for your podcast microphone. The MXL 990 is a great price and can bring out detail or add a little something extra in your vocal performance. The sound quality for podcasting is smooth and speaks with authority and clarity. A great selection for your podcasting needs. 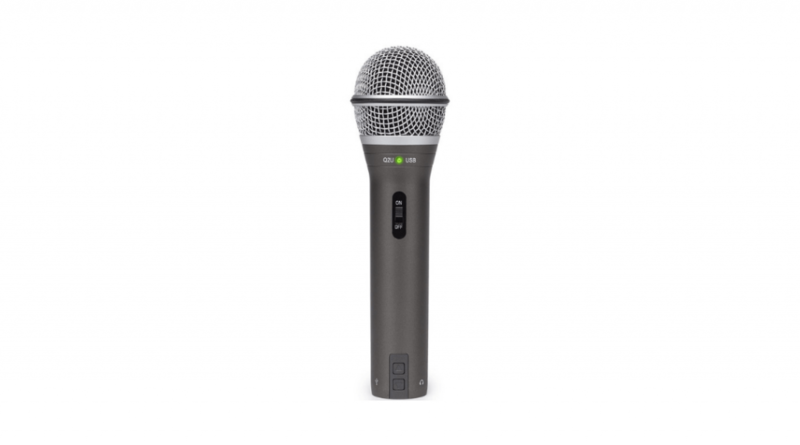 The Shure SM58 is a dynamic microphone with a cardioid polar pattern, meaning it is great for noise reduction. The SM58 has a brightened mid-range and bass roll off which gives you the crisp, clear vocals you want in a podcast recording. It comes with a built-in wind and pop filter, and the pneumatic shock mount system cuts down handling noise dramatically. This will be useful if you are out and about when recording your podcast. The SM58 comes in a variety of different versions – wired, which comes with a three-pin male XLR cable; wireless; and as an XLR to USB converter. So whatever level of equipment you already have, or plan on buying, this mic will fit right into your podcasting set–up. The SM58 is undoubtably better at high volumes, for live vocal performances in noisy environments, and the low frequencies will increase the closer you get to the microphone. This makes it perfect for any recording environment, to bring out the warm and clear vocals your podcast needs. It has been built to withstand general wear and tear. The microphone has a bit of weight behind it so is rugged, stable and durable but not unbreakable. So, if you are thinking about doing a mic drop at the end of one of your episodes, maybe do it on to a pillow. Or just don’t do it, but then you won’t seem as badass. There have been tales of this microphone lasting performers for 10 or more years but be “shure” to buy your microphone from a trusted source because there are plenty of fakes out there, since the SM58 holds such legendary status. The Blue Yeti microphone is the first microphone to get the coveted THX certified sound quality. 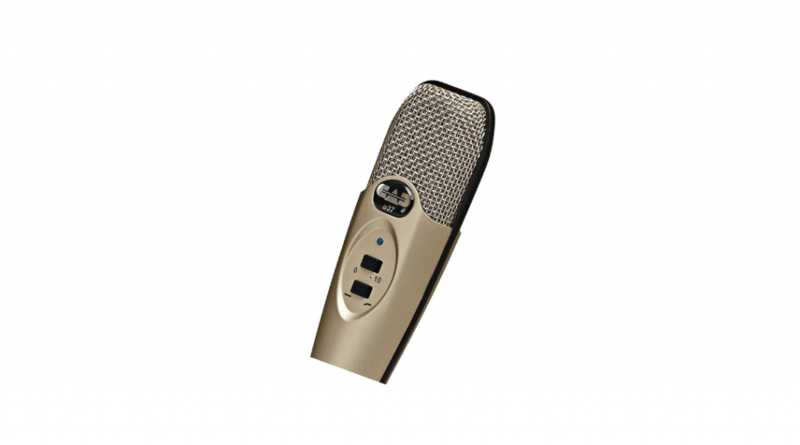 It has integrated gain control and four recording modes, including stereo, which is a rare find on such a large capsule, making it one of the best choices for USB microphones on the market. So, why is it called the Yeti? Simple, it’s fecking mahoooosive! The Yeti measures a foot tall and weighs in at 1.5kg. Nonetheless, a big microphone offers a big sound, not compromising on quality, depth and detail in your podcast recording. However, if you are looking for something portable and durable, this probably isn’t the microphone for you and your podcast. There are several wobbly plastic knobs that need to be handled with care to make sure they don’t come off or break. Although, these knobs do have some incredible features. One is a mute button, perfect for when you want to clear your throat. Another of the knobs, on the back of the microphone, controls gain. Underneath that is a multipattern selector switch, to switch between the four modes of recording. 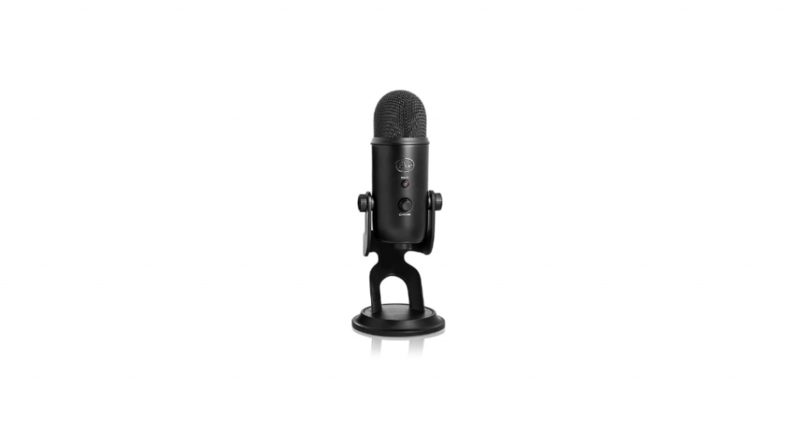 By using a unique three–capsule design, the Yeti boasts omnidirectional, cardioid, stereo and bi-directional modes of recording your podcast, letting you record almost any situation you can imagine, without compromise on quality. You can purchase the Blue Yeti on Amazon UK for £95.00 and free delivery with Prime. There is a two-year warranty included, it is Mac and PC compatible, with zero latency headphone monitoring and headphone volume control. 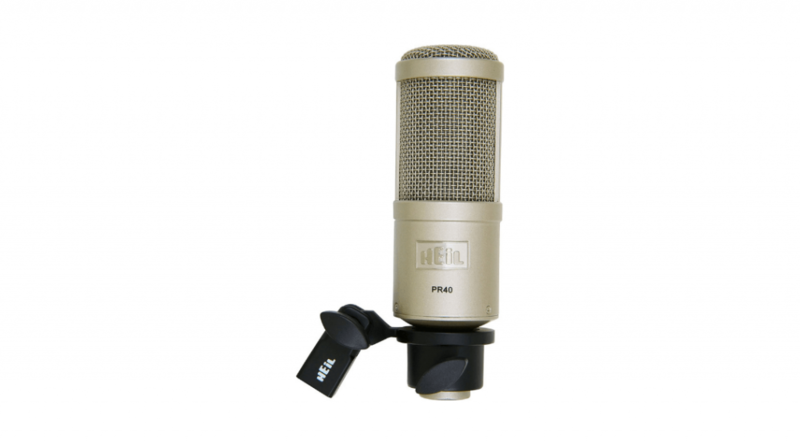 The Heil PR40 is a dynamic microphone with a tight cardioid polar pattern, boasting almost perfect rear rejection. The proximity effect has been reduced and the humbucking coil reduces the effects of interference from nearby electronic devices. The PR40 has an internal breath blast filter, to soften your p’s, b’s, s’s and so on. With the PR40 you will need a mixer or recorder with an XLR connection to use it. The PR40 has been recommended as a broadcaster’s voice microphone. The vocals sound impressively natural, full and solid, making the PR40 one of the most fitting microphones for your podcast. It is great value for money with incredible tonality and versatility in the performance, providing a flawless and smooth sound. The PR40 has been called a “thoroughbred work-horse of professional sound recording”. This microphone is perfect for all your podcasting needs, the noise reduction makes for clear and quality–sounding vocals to give your podcast that professional finish. 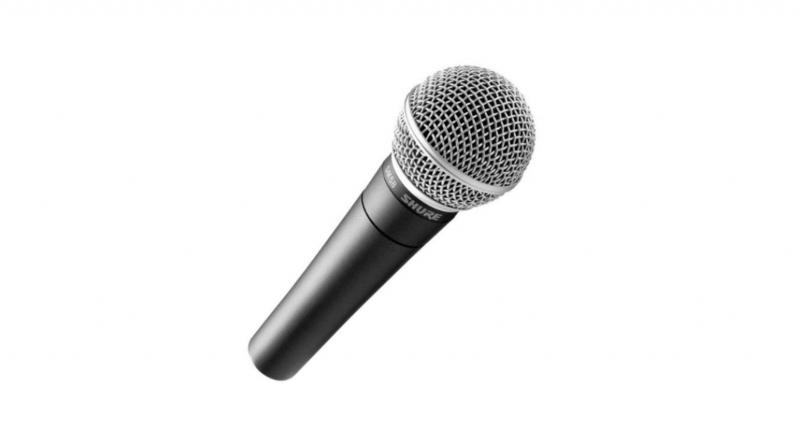 The Shure SM7b is a dynamic microphone perfect for speech and vocals. The cardioid polar pattern rejects hum very well, the vocals are very loud, detailed and crisp. The SM7b weighs in at just under 1kg, it is 13.5 inches high and 4.5 inches wide, so it is definitely not for you if you need a portable microphone. The SM7b rejects background noise superbly well and is rated as one of the best mics for vocals within its price range. It is so good, in fact, that it has been around for years. Michael Jackson recorded the Thriller album using this microphone, so you know if you buy it you are getting a professional–standard microphone. You can use it in an untreated room, and it will still sound professional, perfect for those podcast studios that are a little makeshift. The SM7b is used worldwide by radio stations, so it will be perfect for all your podcasting needs. The frequency response is second to none. Plus, the base of mic swivels to set up for almost any angle with no background noise. The CAD U37 is a condenser microphone with a cardioid polar pattern. There are two switches on the front, one for volume control and the other for bass reduction and therefore background noise. The U37 is compatible to both Mac and Windows and connects to your device via USB, meaning no mixer or additional recording equipment is needed. It comes in eight colour options and the side-address design (the parallel position of the diaphragm in relation to the body) makes it perfect for podcasts, creating a smooth and clear speaking voice by minimizing distortion. You can set up and move around easily with the U37. It’s affordable, easy to use and perfect for first–time podcasters. The variable settings complement different options for recording and the bright cyan LED makes it easy to see the recording level and power, meaning you can adjust your levels from the microphone with a visual aid. Finally, the U37 suits quiet environments, you can reduce noise from loud environments in post-production but that may affect the sound quality of your recording. The Audio-Technica AT2020USB is condenser microphone with a cardioid polar pattern for rear noise rejection. It is compatible to both Windows and Mac, and you can plug it straight into your laptop or PC via USB. The AT2020USB is ideal for podcasting with an improved analogue to digital conversion feature and headphone output for live monitoring. You have headphone volume control on the microphone and a fader to balance the microphone signal with your playback level. The AT2020USB has two versions, USB and XLR, and the sound is almost indistinguishable. The high frequencies have a crisp and sweet sparkle to add presence without it sound un-natural. The Samson Meteor is a condenser microphone with a cardioid polar pattern. The USB connection plugs into your laptop or computer directly and is compatible with both Mac and Windows. There is a jack so you can plug headphones into the mic directly for real–time monitoring. There is a knob on the microphone to control the headphone volume, however, you cannot control the recording level from the microphone, and it must be done in your recording programme. There is an LED light to on the microphone which flashes when the mic is peaking, which is very useful when recording your podcast. Possibly the best feature of the Samson Meteor is that you can use it with an iPad via USB. Most microphones need too much power to work with iPads, but the Meteor works perfectly. It is a versatile microphone and can pick up almost any form of recording. However, the group recording is a little limited, which may be a problem if you have guests on your podcast. The Meteor comes with built–in fold–down legs which can be used as a desktop stand, but the microphone works better with a standard mic stand. The Meteor does not have XLR capabilities, meaning your sound quality may be affected. Optimum distance from the microphone is four to eight inches for the best recording, but this is again very limiting in the recording experience. You can buy the Samson Meteor from Amazon UK for £65.00 + free delivery. Plus, your purchase comes with a velvet bag to store away your microphone. There are a lot of great microphones out there. Depending on your price range you have many options to choose from, nonetheless, these are the recommendations that I suggest. If you have a lot of cash to play with, then the Shure SM7b is for you. 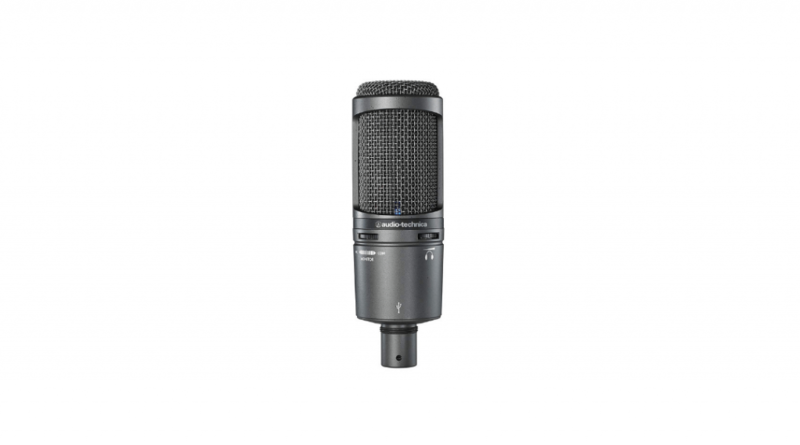 Coming in at just under £550, the SM7b is a microphone with legendary status. It is used worldwide by radio stations and puts great emphasis on clarity in your speech, perfect for a professional sounding podcast. If you are a little more restricted in your budget, I suggest the Shure SM58, a slightly less pricey microphone, costing around £110. This microphone, as well as the SM7b, is well–regarded as a microphone for impressive vocal performance. The frequencies and bright mid-range give an unprecedented clarity for a microphone in this price range. Plus, ELTON JOHN used to use it, come on. Finally, if your budget is less flashy then the first two recommendations, then I suggest the MXL990. The price of the MXL990 is just under £80 and, although this is still relatively high, I would not recommend skimping on the price because it would be heard in the quality of your podcast recording. The MXL990 speaks with authority and clarity, and is perfect choice for your podcast microphone on a budget.